Personal Protective Equipment (PPE) are all items including clothing, worn at the workplace to protect individuals from various health and safety risks. The equipment may feature hard hats, gloves, goggles, respirators, footwear, safety harnesses, lab coats, and high visibility safety vests. The items worn depend of the nature of the work carried out. When selecting the most suitable PPE some factors must be put to consideration. Risk assessment should be carried out to ensure the equipment is in line with the nature of the work, as well as suite the particular risk factor at hand. The type and grade of the PPE should also be specified to meet the risk factor. Selecting equipment that can adjust to fit the wearer perfectly is ideal. The effectiveness of the equipment should be maintained regardless of the way they are worn. Sometimes workers may be forced to wear them in a hurry, and if the equipment is not highly flexible, they may be rendered useless. Equipment that guarantee better risk management should be favoured in cases where multiple options are available. Waterproof PPE are an added advantage, as they would protect workers from adverse climatic conditions. The people handling the personal protective equipment should be competent to do so. Before distributing the personal protective equipment, the state of health of each of the workers should be taken into account. If more than two PPE have to be worn, compatibility should be achieved. The workers should be trained on their usage as well as the visibility and communication requirements. Particular personal protection equipment come with specific levels of care and maintenance. Gloves for instance need to have tensile characteristics, while at the same time maintain comfort. Their lifespan is limited by hydration for long periods, chemicals like disinfectants, environmental factors such as heat, and chemical degradation with substances like disinfectants. Lab coats on the other hand must feature complete coverage, they should be long sleeved and hit the knee length. Lab coats should be cleaned on a regular basis with bleach and quality detergents. Eye protection, respirators, and all other PPE have different selection criteria, maintenance levels, as well as user requirements. All these factors should be put to consideration to ensure the equipment serve effectively for long periods. The benefits drawn from wearing PPE are numerous. They minimize the risk in case of exposure, they prevent exposure to some extent and complement the established control measures to enhance the protection levels. Personal protective equipment should always be the last resort. Workers should first try to identify other simpler yet safe means of carrying out their tasks before settling for using PPE. They should be features as the final alternative for a number of reasons. Personal protective equipment limit the wearer in terms of mobility and visibility. These limitations may make it difficult to evade danger, thereby intensifying the adversity of the hazards. The equipment do not guarantee maximum protection; high level protection is only achieved by using advanced PPE that is correctly fitted and well maintained. 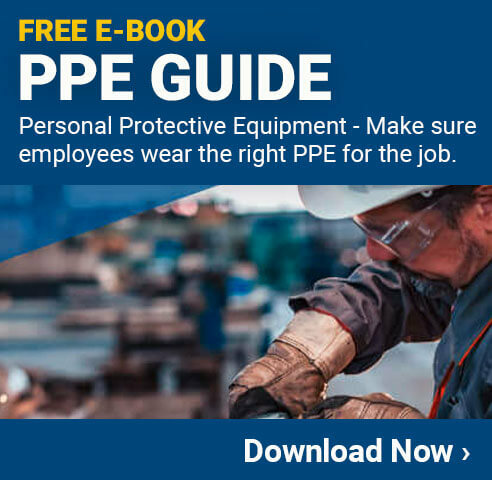 PPE should be the last resort because their protection level is limited to the wearer. The first thing in case of a crisis should be safeguarding everyone in the company, not just a few individuals. It is the responsibility of every employer to provide the employees with personal protective equipment free of charge. They should also be aware of where to obtain replacements of the equipment. Workers should learn the factors that affect the performance of PPE, and how to recognize their defects. This article was written by Phillippa, a full-time freelance writer who is currently representing aplclothing.co.uk. APL provide specialist clothing including workwear and Personal Protective Equipment. Next post Who Is Interested in Lean Manufacturing?